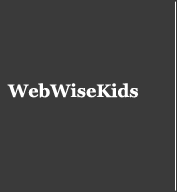 SPOKANE, WA – NorthEast Washington Educational Service District (NEWESD or ESD 101) will hold a free Internet Safety & Digital Citizenship Workshop thanks to a $20,000 grant from co-sponsor Web Wise Kids through the Verizon Foundation. The training kicks off Monday, February 6 in Spokane, WA at the NEWESD 101 Conference Center at 4202 South Regal beginning with a press event at 8:30 a.m. The grant will enable school administrators from seven eastern Washington counties to learn more about state and federal policies and procedures, and receive training on the Web Wise Kids award-winning “It’s Your Call” safety game. “It’s Your Call” is an interactive game based on true stories that allows users to play out difficult situations on cyberspace safety before they occur in real life. NEWESD serves and supports 59 public school districts and 47 state-approved private schools in Adams, Ferry, Lincoln, Pend Oreille, Spokane, Stevens and Whitman counties. Verizon illustrates the company’s commitment to internet safety with a series of online and wireless Parental Control tools, such as content ratings, call blocking, text and call limits, Family Locator service and more. The Verizon Parental Control Center can be accessed at http://parentalcontrolcenter.com and also includes web content filtering and blocking and FiOS TV Parental Controls. Verizon also offers software called the Verizon Internet Security Suite to protect computers and family information from a wide array of threats, every hour of every day.